Goodreads: Travel writer Julia Sullivan lives life in fast-forward. She jet sets to Europe and the Caribbean with barely a moment to blink or sleep. But too many mishaps and missed deadlines have Julia on the verge of being fired. Kritters Thoughts: Our main character, Julia Sullivan has been traveling the world for her job as a magazine writer. Upon returning from her latest adventure she is surprised by a new boss who is someone familiar. He decides to send her to a small town in Alabama on a small assignment, with trepidation she goes and a story begins. From the first page, I loved this Julia character, I wanted to read on to find out what mishaps she would endure and who she would meet. The author unraveled her story perfectly from beginning to end. My favorite character beyond our girl Julia was the town of Eufaula itself - the people, the places it reminded me why I miss the South. Currently in Northern VA - some may call part of the South, but I completely disagree. I miss the weather, the way people are and the pace of life. 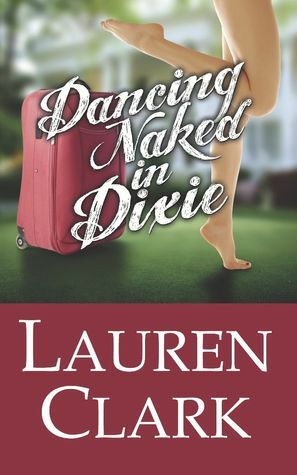 This author portrayed a southern small town with class and poked a little fun, but didn't make a mockery of it as I have read in the past. Although quite a few mishaps happened to Julia, the end result was a great book with heart and soul. What a perfect light read to end the beach season. I definitely have my eyes out for the next Lauren Clark book. Disclosure of Material Connection: I received one copy of this book free of charge from ABG Reads Book Tours. I was not required to write a positive review in exchange for receipt of the book; rather, the opinions expressed in this review are my own. "What a perfect light read to end the beach season. I definitely have my eyes out for the next Lauren Clark book."